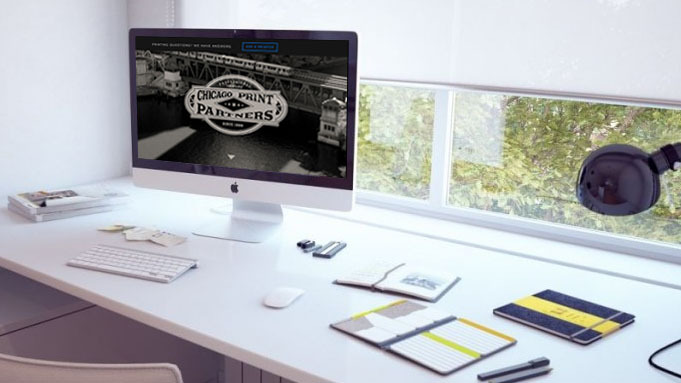 Chicago Print Partners is pleased to announce the launch of our new website! Firstly, let’s address our new name: What was formerly known as APA Management Group is now Chicago Print Partners. We have never viewed ourselves as a run-of-the-mill, basic print vendor. This new name truly represents our mission and commitment to developing real partnerships with our clients. You can expect the same quality, innovative printing recommendations, and personal customer service as always. Now, on to the fun stuff — our new website! We’ve reworked some content and freshened up our look to make it easy for you to find what you need for your printing needs. Discover our wide range of print methods by visiting our Expertise page. We are proud to offer both digital and traditional services. Draw inspiration for your print project from our portfolio of work on the Industries page. You’ll find categories for a range of industries including associations, corporate, manufacturing, retail, and more. Learn about innovations in print, the latest industry news, marketing ideas, and other resourceful topics at our Blog. The “commodity” approach: We can get you a quick digital printing quote for your finalized design, or go one step further with our Web-to-Print service for centralized print project purchasing and brand asset management. Drop us a line today to request a personalized demonstration. The “consultative” approach, the best personalized service to address your custom print needs. Reach out to us to start a conversation with a printer. We would love to meet with you to learn about your business and your ideas, to work collaboratively for the best print solution to attain your marketing goals. Our goal is to give you the best service and the best results for the best price. We want to be your go-to for any printing needs, so send us a message to start talking with a printer today. We look forward to working with you.